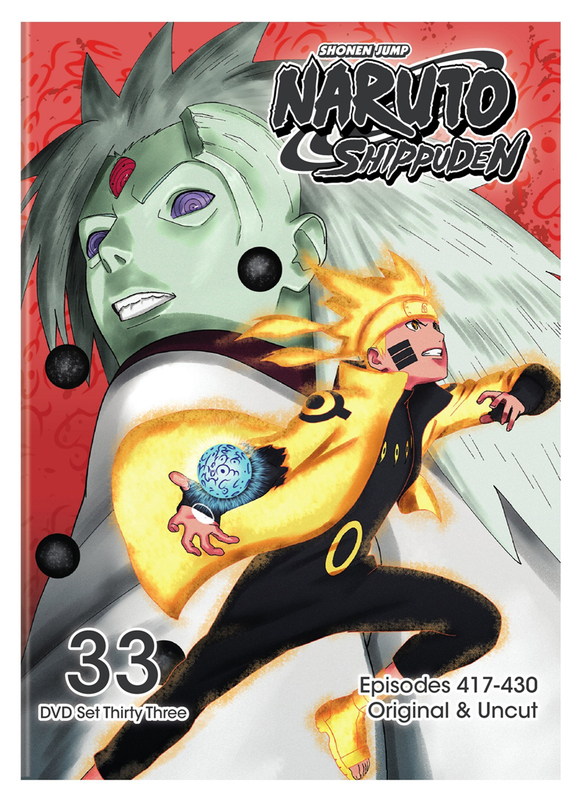 Naruto Shippuden set 33 contains episodes 417-430. 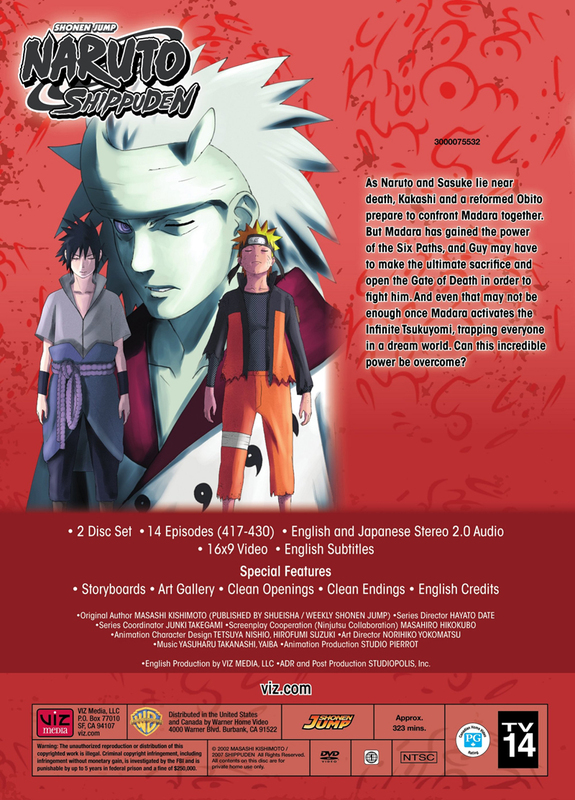 As Naruto and Sasuke lay near death, Kakashi and a reformed Obito prepare to confront Madara together. But Madara has gained the power of the Six Paths, and Guy may have to make the ultimate sacrifice and open the Gate of Death in order to fight him. But even that may not be enough once Madara activates the Infinite Tsukuyomi, trapping everyone in a dream world. Can this incredible power be broken? This is a good box set. Only six episodes are cannon, but the filler episodes are quite good. Tenten receives a focus episode as well as two part Killer Bee episodes. All in all, a good box set.